Here comes another Mexican card from Maggie. 🙂 It pictures beautiful Mexican dresses – “La Chiapaneca” – traditional for the region of Chiapas. More pictures from Chiapas you could see here. 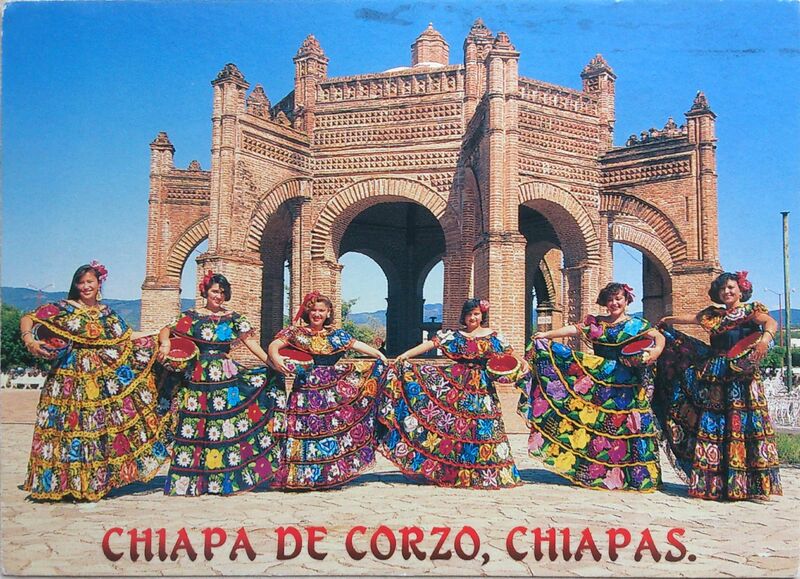 Chiapa de Corzo is a small city and municipality situated in the west-central part of the Mexican state of Chiapas. Located in the Grijalva River valley of the Chiapas highlands, Chiapa de Corzo lies some 15 km to the east of the state capital, Tuxtla Gutiérrez. Chiapa has been occupied since at least 1400 BCE, with a major archeological site which reached it height between 700 BCE and 200 CE. 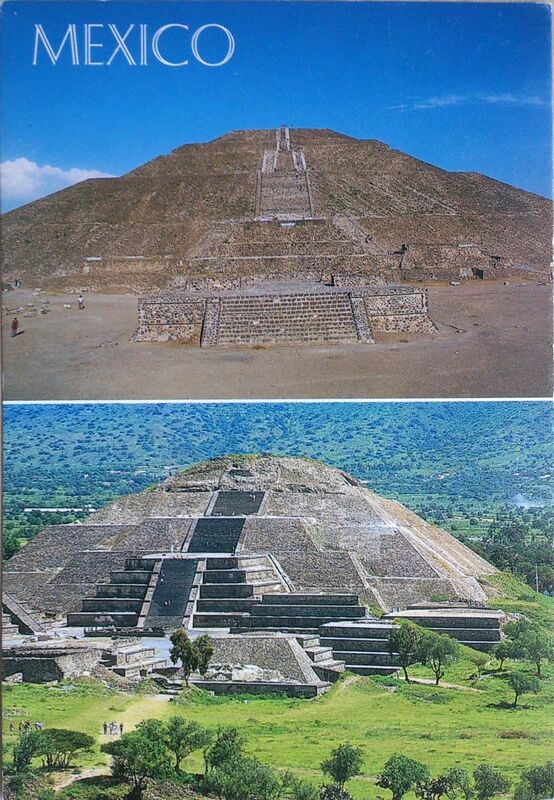 It is important because the earliest inscribed date, the earliest form of hieroglyphic writing and the earliest Mesoamerican tomb burial have all been found here. Chiapa is also the site of the first Spanish city founded in Chiapas in 1528. 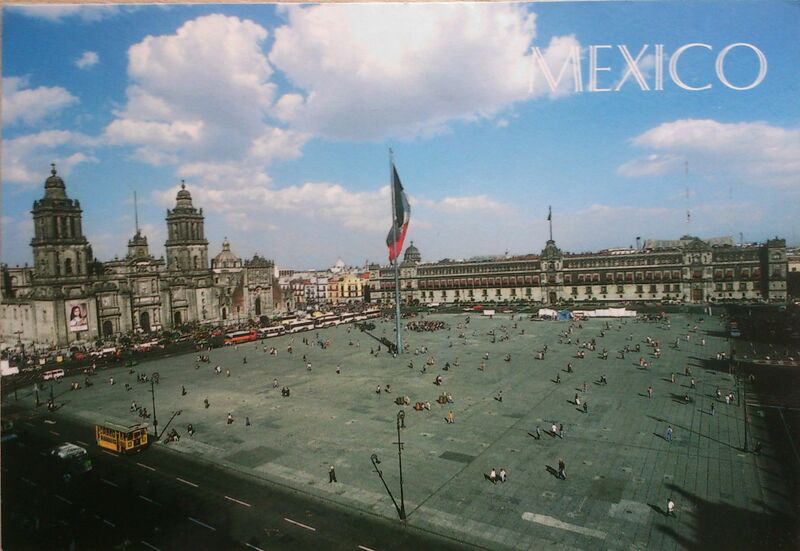 The Zócalo is the main plaza or square in the heart of the historic center of Mexico City. The plaza used to be known simply as the “Main Square” or “Arms Square,” and today its formal name is Plaza de la Constitución (Constitution Square). This name does not come from any of the Mexican constitutions that have governed the country but rather from the Cádiz Constitution which was signed in Spain in 1812. However, it is almost always called the Zócalo today. Plans were made to erect a column as a monument to Independence, but only the base, or zócalo, was ever built. The plinth was destroyed long ago but the name has lived on. Many other Mexican towns and cities, such as Oaxaca and Guadalajara, have adopted the word zócalo to refer to their main plazas, but not all. It has been a gathering place for Mexicans since Aztec times, having been the site of Mexica ceremonies, the swearing in of viceroys, royal proclamations, military parades, Independence ceremonies and modern religious events such as the festivals of Holy Week and Corpus Christi. It has received foreign heads of state and is the main venue for both national celebration and national protest. The modern Zócalo in Mexico City is 57,600 metres² (240 m × 240 m), making it one of the largest city squares in the world. It is bordered by the Cathedral to the north, the National Palace to the east, the Federal District buildings to the south and the Old Portal de Mercaderes to the west, the Nacional Monte de Piedad building at the north-west corner, with the Templo Mayor site to the northeast, just outside of view. In the centre is a flagpole with an enormous Mexican flag ceremoniously raised and lowered each day and carried into the National Palace. There is an entrance to the Metro station “Zócalo” located at the northeast corner of the square but no sign above ground indicates its presence. The Mexico City Metro, officially called Sistema de Transporte Colectivo, often shortened to STC, is a metro system that serves the metropolitan area of Mexico City, including some municipalities in Mexico State. 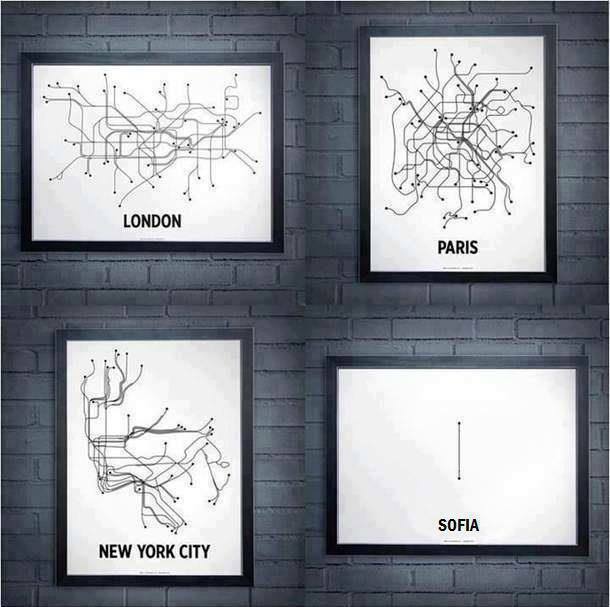 It is the second largest metro system in North America after the New York City Subway. In 2011 the system served 1.487 billion passengers, placing it as the ninth highest ridership in the world. The first STC Metro line had 16 stations, and opened to the public on 4 September 1969. As of 2013, the system comprises twelve lines and 201.09 kilometres (124.95 mi) of passenger track. 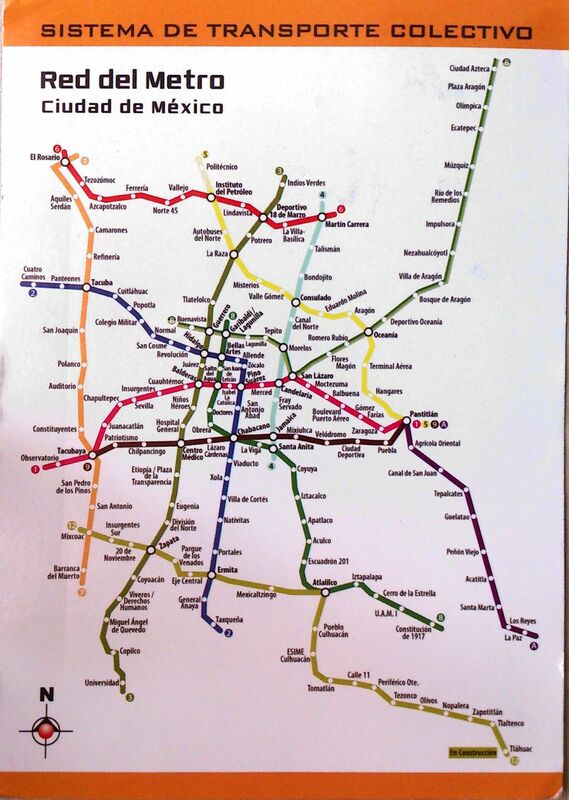 The STC Metro system has 195 stations, 24 of which serve two or more lines (correspondencias or transfer stations). It has 115 underground stations (the deepest of which are 35 metres (115 ft) below street level); 55 surface stations and 25 elevated stations. All lines operate from 5 am until midnight.